HURRICANE – Biking enthusiasts from across the world are invited to attend the sixth annual “Hurricane Mountain Bike Festival,” hosted by Over the Edge Sports. 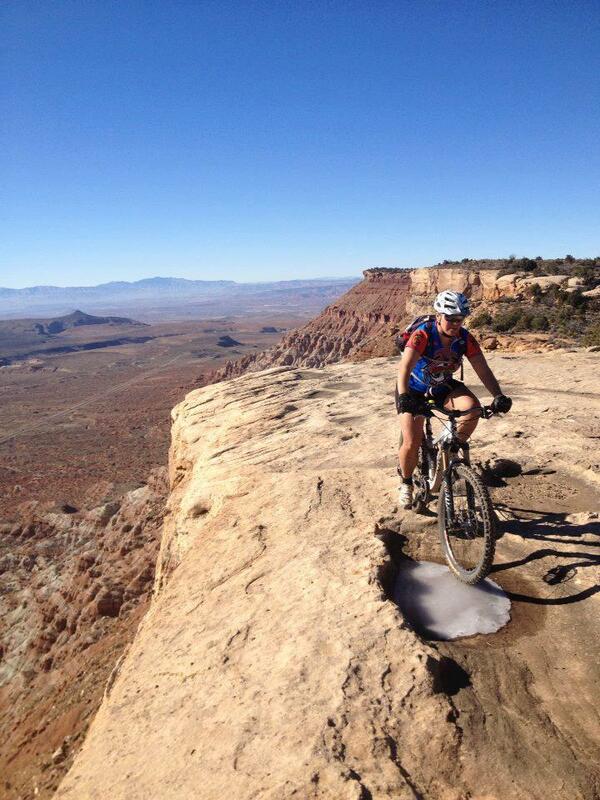 The festival runs March 18-20 and offers a weekend of one-of-a-kind riding trails and outdoor adventure. With staging and activities at the Hurricane Community Center, the three-day event will feature scheduled rides, live entertainment, games, prizes, pancake breakfasts, a Dutch oven dinner and a beer garden. A pump track is a fun new recreational activity where instead of pedaling, riders use an up-and-down “pumping” motion to propel the bicycle forward. The track is designed with rolling hills and banked curves that make it ideal for practicing balance and improving confidence on the bike. The pump track is made available with funding from OTW Safety Barricades, Hurricane City and the St. George Area Sports Commission. Another addition this year will be three skills clinics offered throughout the weekend for anyone wishing to brush up on technique or get extra practice before heading out for a ride. No skill level or experience is necessary, and participants will have plenty of one-on-one time with coaches. Several top cycling vendors are coming to this year’s event, including Rocky Mountain, Knolly, Ibis, BMC, Niner, Pivot, Trek, Giant, Fuji, Scott Bikes, Kona, Guerrilla Gravity, Marin Bikes, SR Suntour, Novatec Wheels, Club Ride Apparel, Industry Nine, RacAttach, IMBA, Kali Helmets and BH Bikes. In addition, free shuttles will provide easy access to an extensive network of world-class riding trails. 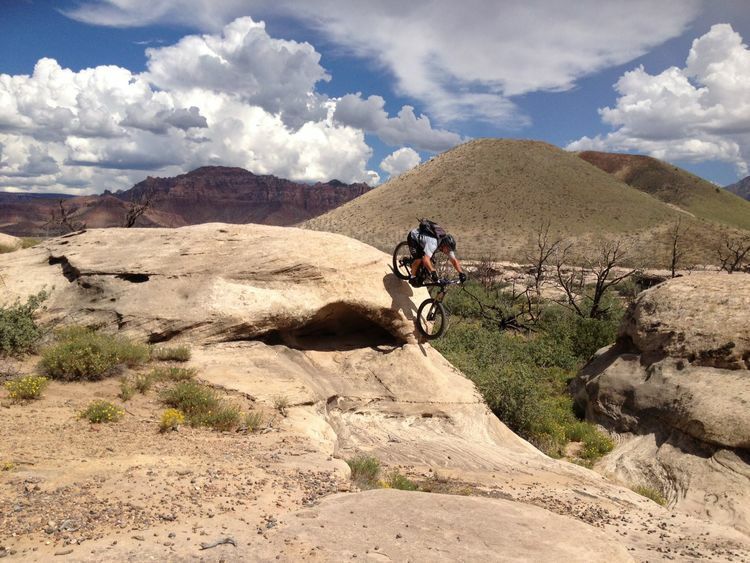 Hurricane boasts some of the premier mountain biking trails in the world. 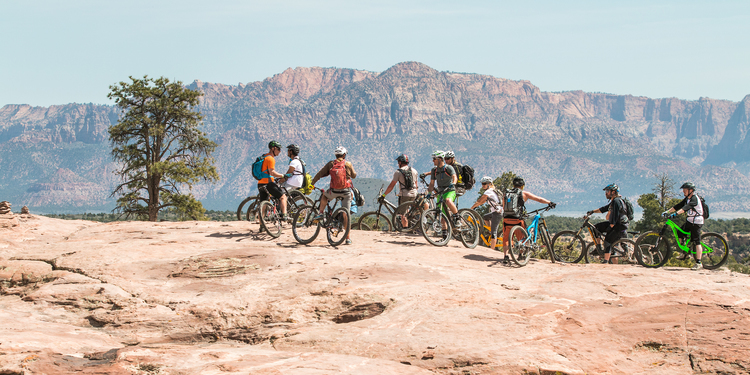 World-renowned rides like Gooseberry Mesa, the J.E.M Trail and Little Creek Mountain are just a few of the many trails adorning the area and accessible via the shuttles. Another highlight riders can look forward to this year is the availability of numerous demo bikes to test ride. Festival organizers have put extra effort into assembling a larger collection of demo bikes from leading brands this year, giving riders the opportunity to discover for themselves what features and styles they prefer. The Washington County Office of Sports and Outdoor Recreation was created to help build on the brand of the area as a world-class destination for sports and outdoor recreation, according to its Web page. The office services the needs associated with growth in sports tourism including the opportunities it provides as well as the impact it has on the county’s communities and the demand it places on the region’s sports and recreation assets. The office plays a coordinating role in bringing business, government, sports and community leaders together to strengthen the county’s brand, manage resources and facilitate the infrastructure needed to attract appropriate sporting events, enhance recreational opportunities throughout the county, infuse economic impact and enrich the quality of life for our residents. In addition to all of this, it is extremely dangerous: http://mjvande.info/mtb_dangerous.htm .